Hello friends! 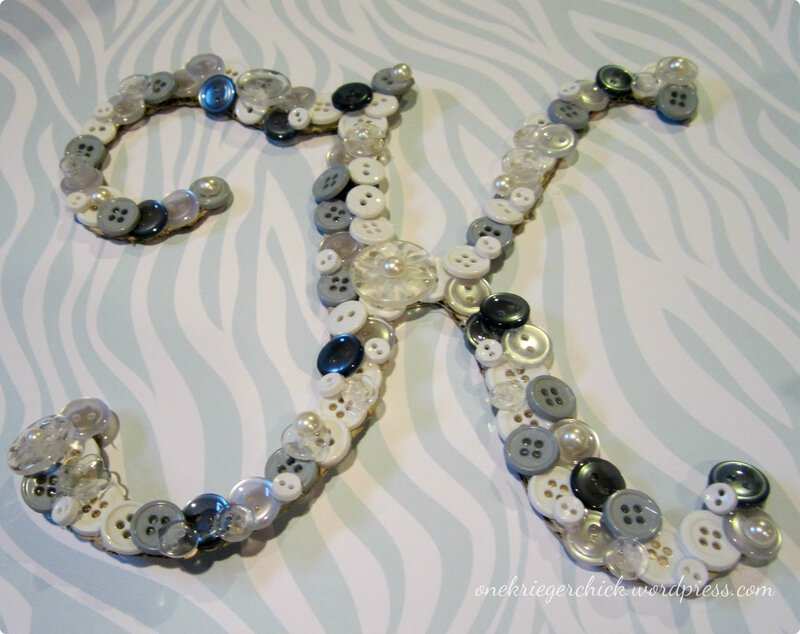 Today, I would like to share with you my DIY Button Monogram…just in case you missed it over at Sugar Bee Crafts. 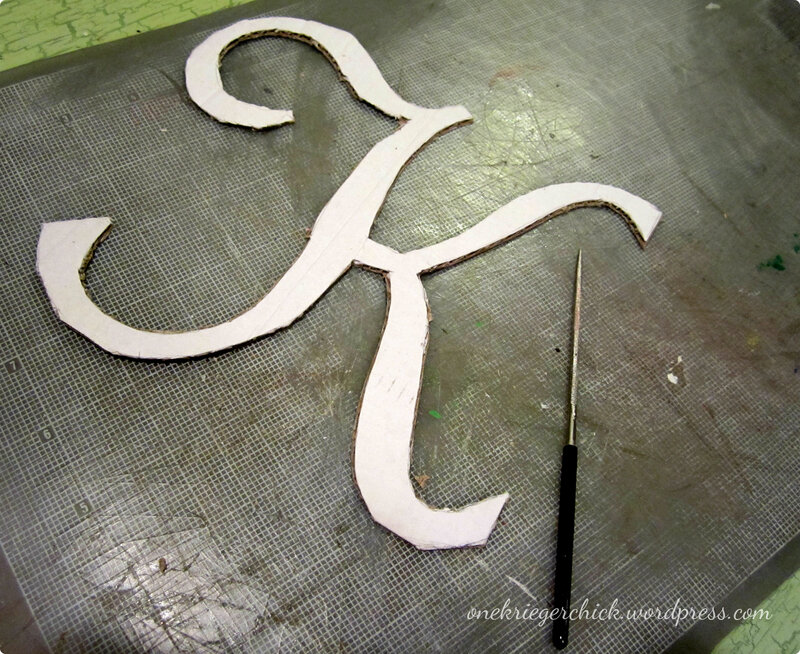 I have had my eyes on a wooden cutout monogram for some time, but it has yet to fit into my budget. So, I came up with the idea to make one of my own. I started on the computer by deciding what font I liked best. 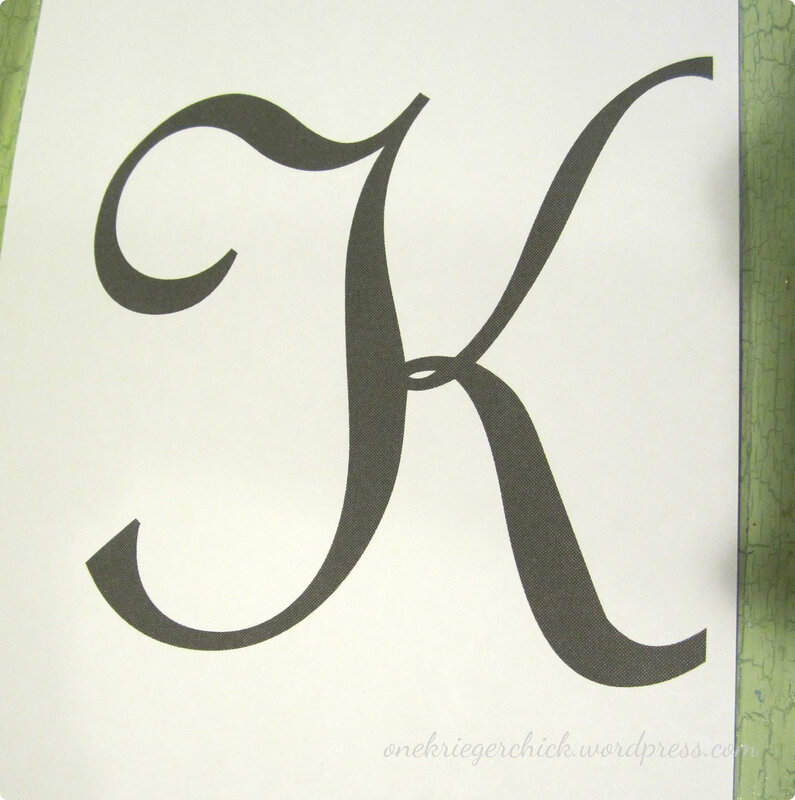 After choosing a font in word, I enlarged it to my desired size and printed it out. I ended up using French Script enlarged to 700pt. This was the largest I could fit on a regular piece of printer paper. This step could be simplified by using a die cutting machine. Note: If I were to make this again, I would have used my Cricut to cut out my template. Then, I carefully cut it out and traced it onto a thin piece of cardboard. The back of a notebook or gift wrap box works perfect. 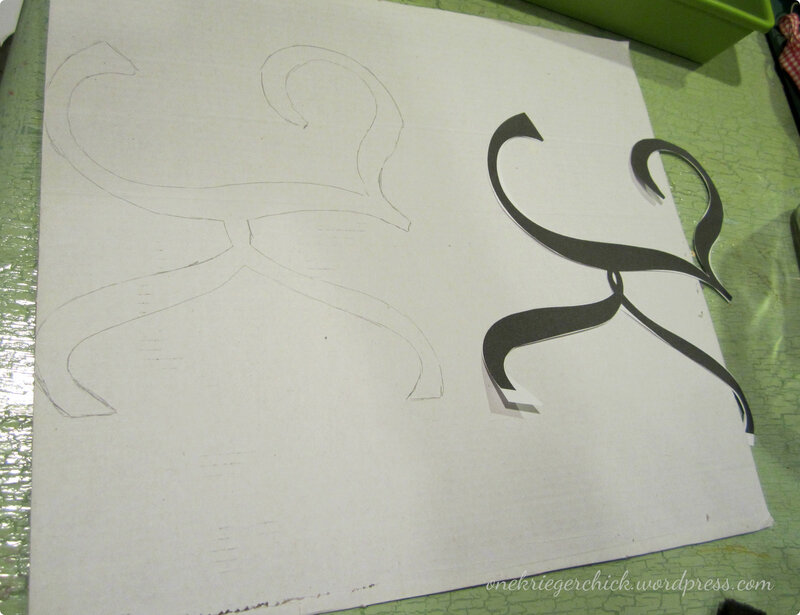 Using an exacto knife, I cut out my monogram. I smoothed edges with a file to get rid of all the fuzzies. Sandpaper would work too. 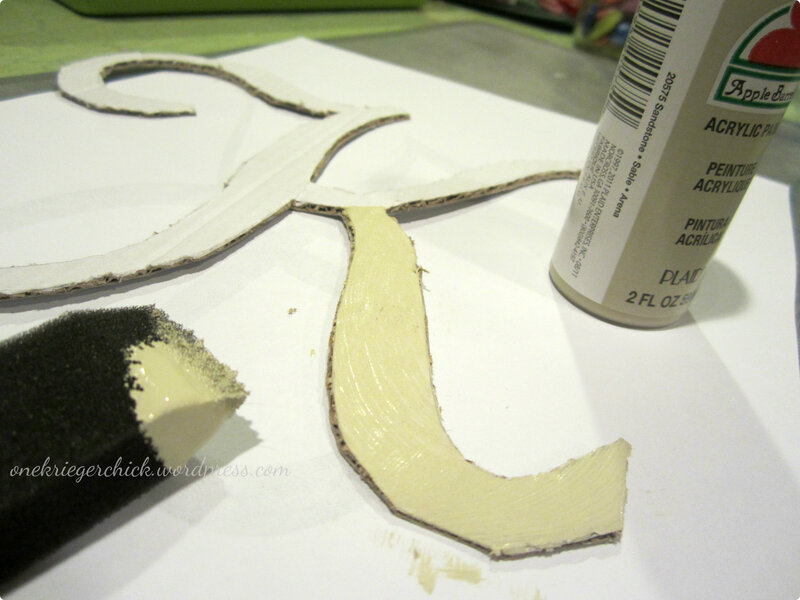 Then I painted the front side of the monogram a cream color. You could paint the other side or cover it with felt or a coordinating scrapbook paper. Using a glue gun, I adhered buttons to one side of the monogram knowing that the other side would be against my French doors. I chose neutral shades so I can use it during all seasons. Loving how it turned out! 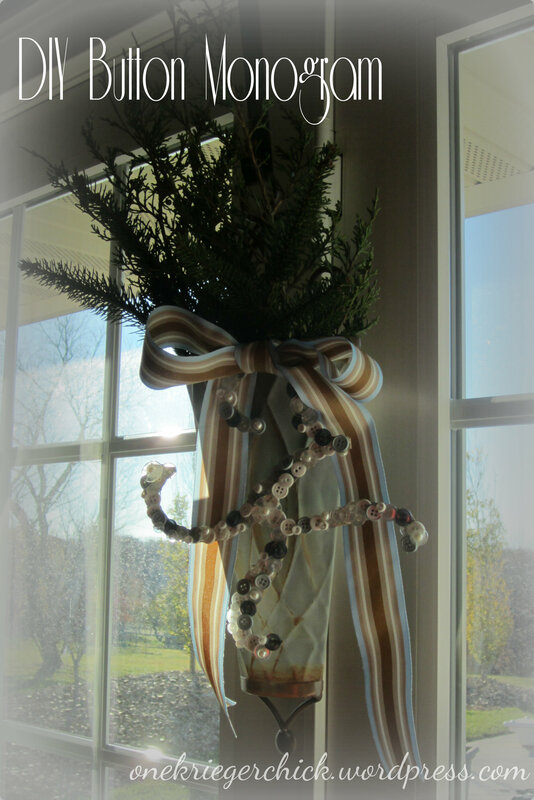 I then tied it with a loopy bow to a metal basket, filled it with greenery from my yard and hung it in my dining room. Ta da! 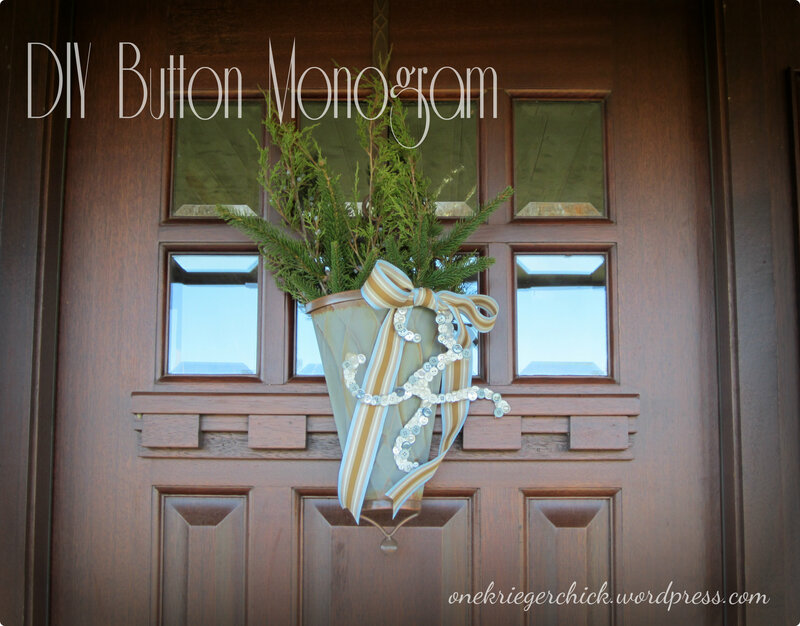 A beautiful, personalized button monogram that will look lovely in my dining room for the holidays but will easily transition to other parts of the house throughout the year. 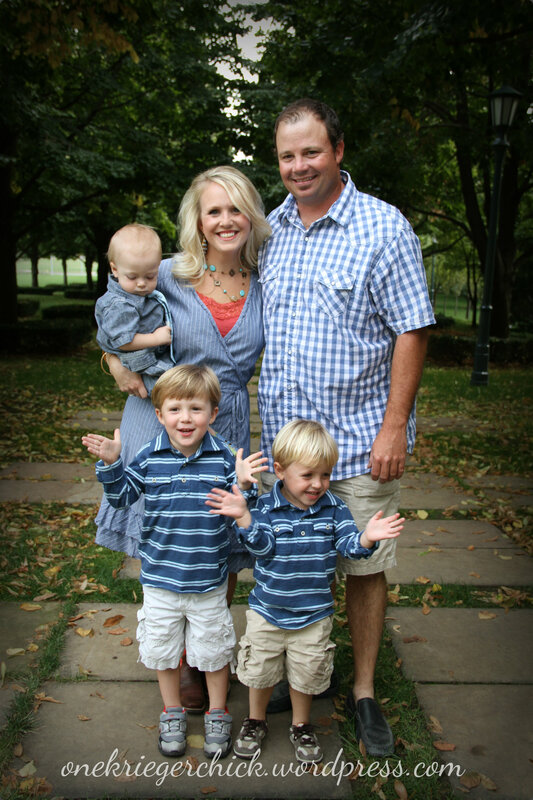 Posted in Uncategorized and tagged button, button monogram, diy, monogram. Bookmark the permalink.